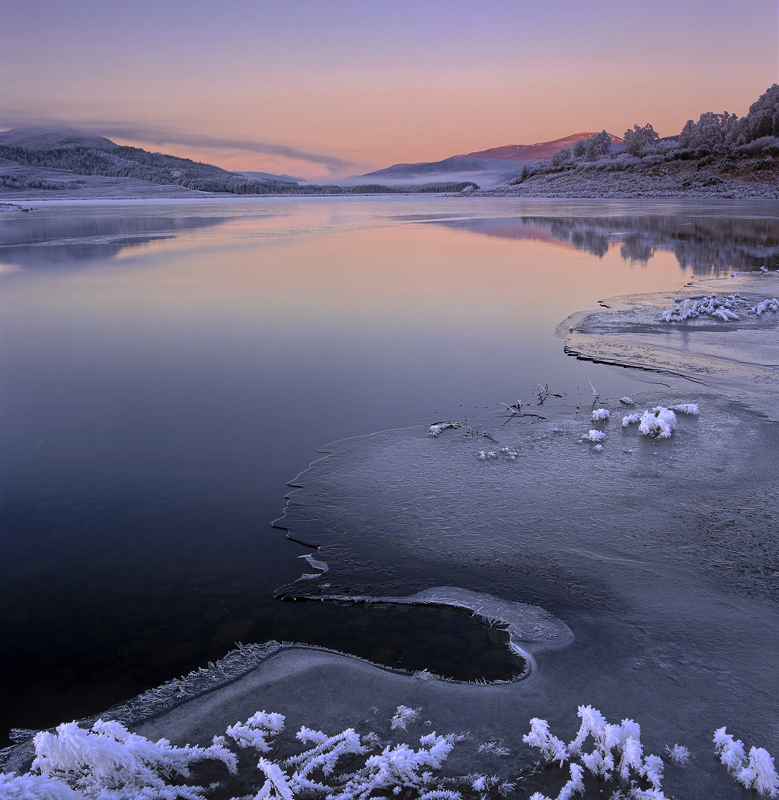 A very beautiful sunrise at Loch Achanalt on a freezing cold morning. The twilight sky slowly rolls back and at the anti-solar point a pink sky develops. In a few moments the sun will break through and sure enough a scarlet band of light paints the top of a distant hill. The combination of pink and twilit blues is one of my favourite.